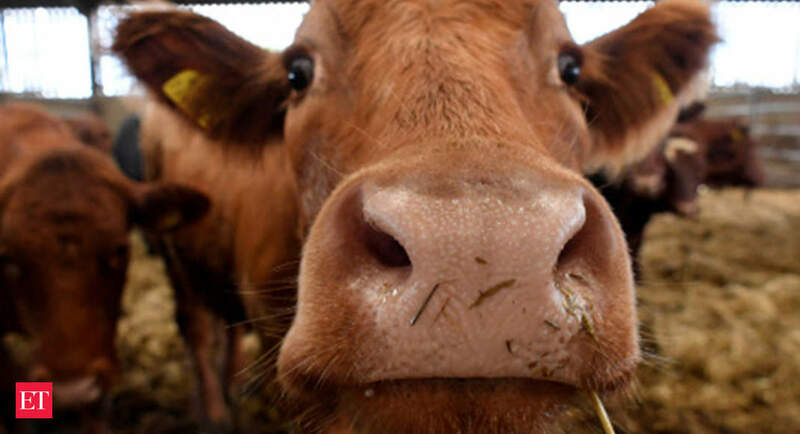 NEW DELHI: The interim budget for 2019-20 has proposed to set up an authority, Rashtriya Kamdhenu Aayog, for the effective implementation of laws and welfare schemes for cows with a corpus of Rs 500 crore. The government has also allocated Rs 750 crore for the Rashtriya Gokul Mission, which was launched in December 2014 for the development and conservation of indigenous breeds through selective breeding and genetic upgrade of nondescript bovine class. Cow has always been part of BJP’s core political agenda. But two recent developments have hit the government’s focus. First, after coming to power, the Congress government in Madhya Pradesh announced setting up of 1,000 cow shelters across the state in four months. The Delhi government, too, announced construction of cow hostelscum-old-age homes. The second jolt came in the form a clash between the cattle politics and farm economy, thanks to a sudden rise in stray cows destroying crops in BJP-ruled states. In the last few months, Uttar Pradesh has witnessed several protests by farmers over the stray cattle menace and the government is struggling to build cow shelters. The UP government has also imposed a Gau Kalyan cess to deal with the paucity of funds and has made provision for construction of cow shelters as part of corporate social responsibility. The new Aayog will try to make cow more productive for farmers and encourage them not to abandon the cow when it is of no economic use. “It will help crores of farmers in increasing their livelihood income,” Prime Minister Narendra Modi said on the budget proposal.